Somewhere in between the bustling city of San Francisco and the Golden State’s capital city lies the small college town of Davis. With a student population in the tens of thousands, an underlying sense of eternal youth is omnipresent. Saturday night at Sophia’s Thai Kitchen brought me back to my carefree college days before my caustic heart devoured whatever naivete I had left. My inner twenty-something-year-old was giddy with excitement waiting for Hosannas, Gardens & Villa, and Generationals to take the…deck. The small outdoor deck at Sophia’s made for a more intimate, but much less formal experience, like a really, really amazing house party. If you don’t know who Hosannas are, believe me, you should. Brothers Richard and Brandon Laws are the core of Hosannas. The band dabbles in experimental noise production and textures, but Hosannas remain extremely approachable to the sonically timid. 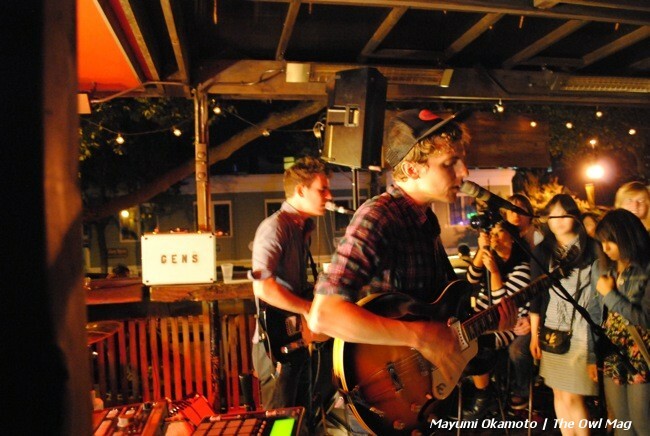 This Portland band’s live performance can create the perfect soundtrack for a lazy Sunday afternoon. Case and point, “The People I Know.” Richard’s gauzy vocals left me feeling eerily haunted; like trying desperately to remember a dream after waking up. After a quick import and export of band gear, Gardens & Villa assumed their positions in the compact space. Even before the release of their self-titled debut album, a constant buzz has been industriously spread about these Santa Barbara natives. Logically then, I pounced on the prospect of reviewing a live show. Would the experience live up to the expectation? Perhaps the most telling confirmation of the buzz is one given by the band you are touring with. 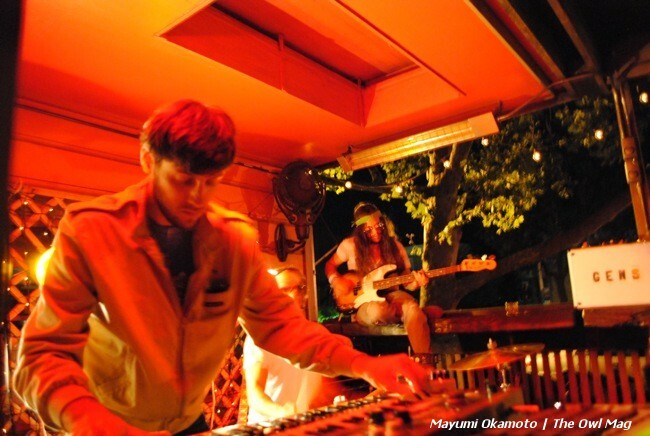 Gardens & Villa has spent the greater part of July on tour with Generationals. I chatted briefly with members of both bands before the show and each had nothing but mutual words of adoration about the other; very promising indeed. Chris Lynch has an interesting vocal style ranging from slightly androgynous and drawl-esque (“Cruise Ship” and “Black Hills”) to sharp and deliberate (“Thorn Castles” and “Spacetime”). Instrumentation-wise, who knew synths and wooden flutes were complementary instruments (“Orange Blossom”)? Chris’ curious quiver of flutes dominantly adds layers to Dusty Ineman’s ticking synths instead of the other way around. For a five-piece band, complete with quite a bit of electronic instrumentation, the band manages to keep a light breezy vibe, perhaps as a nod to their Southern California roots. If you love guitar-heavy (not to be confused with heavy guitars) bands with super clean riffs and memorable melodies, you will love New Orleans-based Generationals. Clearly the crowd in Davis loved all of these things. Ted Joyner and Grant Widmer had everyone on the deck of Sophia’s bouncing around like they were on a trampoline. The guys released their sophomore album, Actor-Caster back in March and will close their brief summer tour at the end of July before returning to New Orleans for a break. 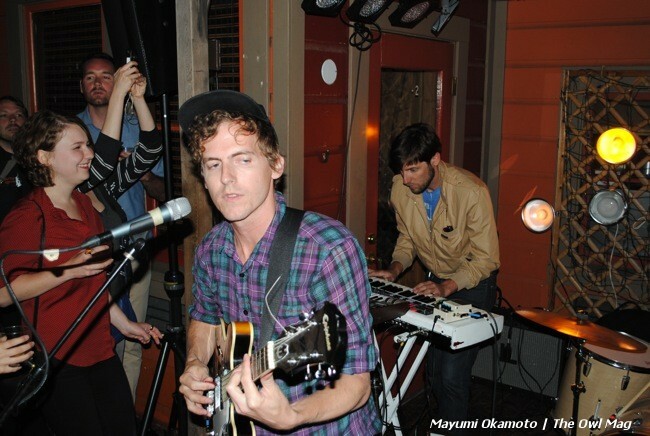 Seemingly reserved and introspective, Generationals are not the most showy band, but they do put on one hell of a show. As the headlining band, they sold out both the San Francisco and LA venues just days before. The guys have distinctly different vocal styles. Grant Widmer delivers his vocals with a slight monotone quality (“Ten Twenty Ten”) while Ted Joyner’s vocals are a little higher in the register and the lyrical pacing connotes an air of nonchalance (“Greenleaf”). Several comparisons have been made to their 1960s predecessors and none are more apropos than for the song “You Say It Too.” The catchy guitars and pronounced rhythm section are reminiscent of ’60s garage bands like The Sonics. To close the show and defy their apparent laid back demeanor, Grant scooted onto the ledge of the deck and skillfully conquered the balance beam-like railing for the duration of the show and then disappeared with Ted calling out, “Uh, we lost Grant!” My inner twenty-something-year-old couldn’t help but giggle and think about how thankful I was to attend the hippest house party to ever happen in the tiny college town of Davis. 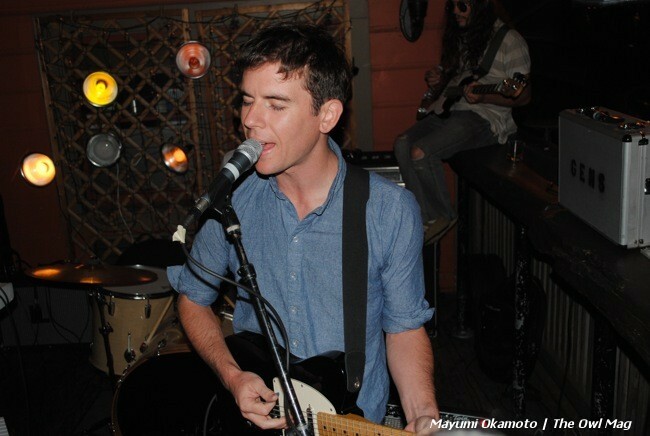 Generationals will close their tour in Baton Rouge on July 26th. Actor-Caster is out now on Park the Van.